Update on Ahli Hospital and More! If you’re attending General Convention in Austin, TX, we hope you’ll stop by our exhibit booth (#916) to say hello and have a delicious Palestinian cookie (or two!). Our theme is "Transforming Lives" . American Friends staff (Executive Director John Lent and Development Associate Betsy Wilson), volunteers (Jo Bronson, Susie McNiff, Lisa Pell and Lorraine Reeder) and AFEDJ Trustees will be managing our booth. Former AFEDJ Board President Charles Cloughen will be signing his new book One-Minute Stewardship , which you can buy on the exhibit floor. A portion of all book sales go to AFEDJ. Thank you Charles! Thanks to the more than 550 generous contributors who have made gifts to Ahli Hospital since the violence began in May. By the end of June, AFEDJ will have sent more than $160,000 to support the hospital in this time of crisis. Ahli is struggling in the face of an unimaginable number of casualties from the protests in Gaza. 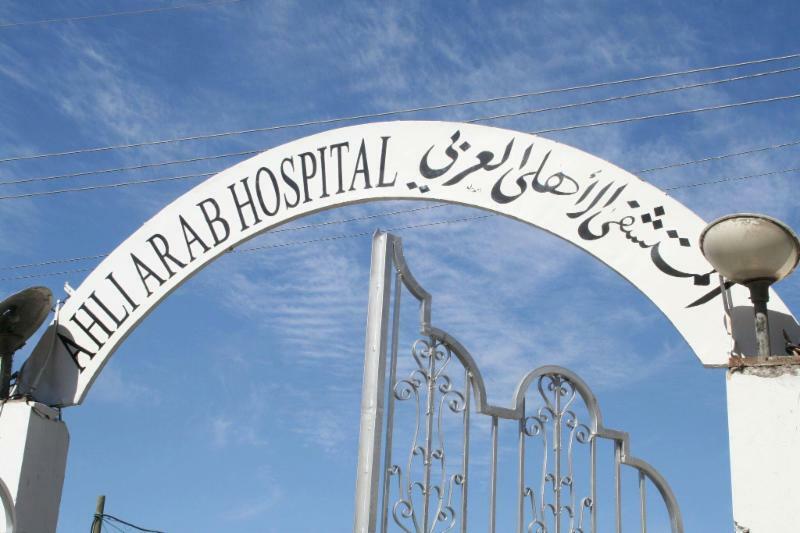 It is one of the few hospitals in Gaza that has remained open to receive new patients. Thanks to gifts like yours, the hospital is able to purchase medical supplies and fuel to keep its generators running. We visited Ahli in April, before the worst of the violence. The living conditions are appalling. The work of the doctors and staff is truly heroic. Thank you for your faithful support. AFEDJ Executive Director John Lent was guest preacher at St. Andrew’s Episcopal Church in Burke, VA on Pentecost Sunday. You can view his sermon here . Calling all pilgrimage leaders! 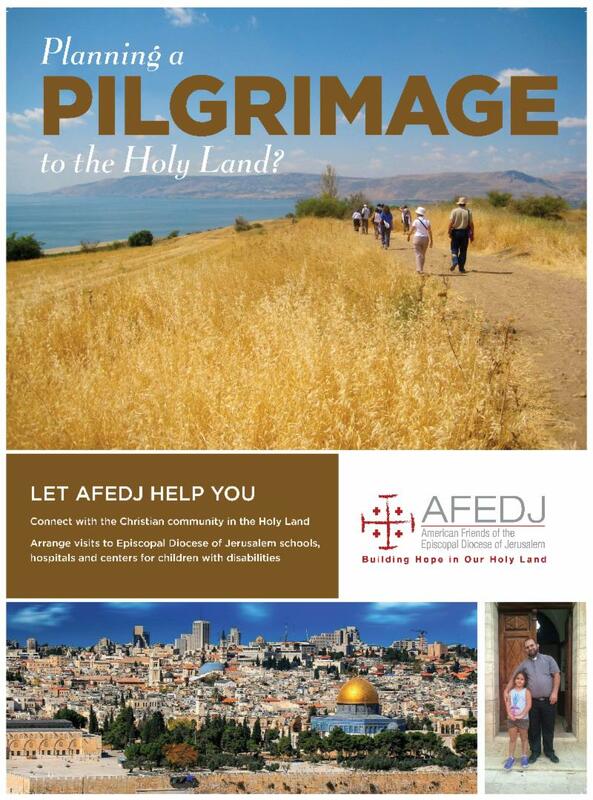 Please send us information about your upcoming Holy Land pilgrimages so we can post them on our website . The AFEDJ Board of Trustees has formed a Pilgrimage Task Force under the leadership of the Rev. Matthew Dayton-Welch. 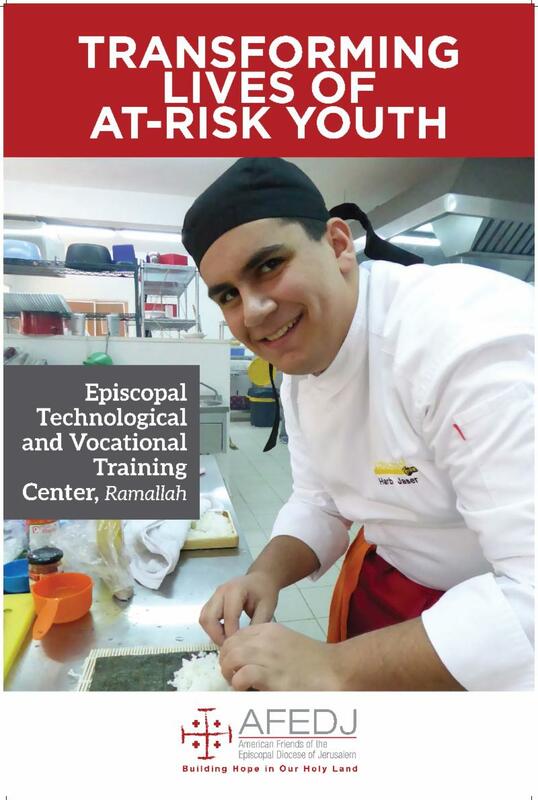 Matt and his enthusiastic task force members are reaching out to pilgrimage leaders to help them make connections with Diocese of Jerusalem schools, hospitals and churches during their visits and to stay connected to the Holy Land through AFEDJ. Please email Matt if you have pilgrimage questions or want to speak to an experienced pilgrimage leader who lived in Jerusalem when he worked for the State Department. We are in the process of recruiting a full-time Communications Manager. The position description is available on the AFEDJ website . Please spread the word and send any strong candidates you might know our way.